In part 4 of our series of how to make Mexican friends (It’s really not a series, but I do write about it from time to time... It’s a gradual series), I’d like to cover the rarely explored venue of cultural events as a way to meet gracious, well-educated natives. People who move to Mexico often dismiss this entre unless they are bilingual. It’s understandable to think that you need to speak the language extremely well to attend a poetry reading or a play. Yet I have found that cultural and related activities are the very best inroad to meeting stimulating people in Mexico, and I learned it before gaining any fluency. It’s true, you may not get much out of the actual content of the events at first. The use of metaphors, slang, outdated or colloquial language and elevated vocabulary makes it a challenge. Often sound systems don’t do you any favors either. However, these events can open social doors. With a little homework, you can start conversations and demonstrate respect for the culture that will be noticed. All it takes is a little study and improvisation. Mexican enthusiasm and affection for their regional writers and artists will do the rest. For example, recently I attended a poetry reading and lecture about perhaps the most popular poet in Latin America, Amado Nervo. People used to cite his poetry in the streets, in the cantinas, and in the markets. How much he was loved in Mexico City was evidenced by the fact that in a city of 700,000 inhabitants (The population of Mexico City in 1919), 300,000 attended his funeral. At the time, only 14% of the population could read. While born in Tepic in 1870, Nervo was born as a poet in Mazatlan, where he lived for a number of years and worked as a journalist and writer. Several of his most famous poems were inspired by the Mazatlán's ocean views. His writing is said not to have lost his force with the years. He wrote for an elite culture, but at the same time his writing was entertaining and ironic, and referenced daily life. Mexican cities celebrate their artists past and present. Cultural centers hold commemorative events, readings and surveys like this one in all the cities that might have influenced the artists over their lifetimes. Mexican are viewed by their Latin peers as intellectually restless (according to my Spanish sources). They have less interest (i.e. none) in masticating the news cycle, and great interest in hashing out the cultural significance of their ancient legends. I find myself in those conversations frequently, even if I'm simply nodding along, picking up a thread or two. Listening is highly regarded everywhere, and you can do that with just about any level of Spanish. Book fairs are very well-attended in Mexico too. They are another excellent place to mingle and start conversations. With only passable Spanish, I had the great luck of having been invited to join a book club. Book clubs operate differently in Mexico from what I’ve experienced in the U.S. (at least my book club does). Instead of everyone reading the same book - and having to buy and read books in which you have no interest - members in the club take a book from the library of the recreation center where the club meets. At the meetings, each member gives a sort of book report, telling the group what they liked and disliked about the book. Even if the book wasn’t a favorite, the presentations lean a bit toward “selling” the book to other members. The monthly dues are used by the recreation center to buy new books. I met one of my dearest friends in Mexico at this club. Obviously, my level of Spanish is not such that I can read their books in Spanish (In fact, whenever I can’t sleep, I open one and try to read it. Within 10 minutes, I’m out). Instead, I go to the local upscale shopping mall that carries a big selection of books and find a book in Spanish that I’ve read in English. I buy the book (in Spanish), refresh my memory, report on it in passable Spanish, and donate it to the club in addition to paying dues, as a way of showing my appreciation to be included in the group in spite of my seventh-grade level synthesis of the books I present. Last month, I bought “The Book Thief” by Markus Zusak. Several members had read it and hardily endorsed my selection. Score! The poetry reading mentioned earlier was attended by probably 50 people, equally divided among men and women. Although the crowd leaned older, a number of twenty-somethings were there too. Photographers snapped photos of the four readers and the event was reported in the paper the next day, paying homage to the poet and his choice of city. Due to the poor acoustics and the mystical nature of the poetry, I understood very little. Was it a waste of time? People smiled at me. I smiled back. I met the city’s historian and a well-regarded economist. A large percentage of the very-well educated in Mexico have spent large periods of time in the U.S. Both the historian and economist spoke fluent English and were able to answer several questions I had about the poet. I most likely would not have met them any other way. At the reception, I could get a kick out of the refreshments: flutes of champagne alongside shots of mescal served in the adjacent hall of a museum I had never heard of before, and which had a wonderful collection of modern art we perused while we chatted. I’d never tasted mescal and was surprised by its smoothness, nothing like what I’d always heard about it. Woody Allen once famously said, “Eighty percent of success is showing up.” Never forget the importance of providing an audience for those who act, read poetry, give lectures or sing opera. Google "teatro" or "museos," in your target city to ensure you get all the info when looking for such events, as a surprising number of small cultural venues do not have websites and have begun to use only Facebook pages. Without you as the admiring, appreciative fan, an artist's job isn’t nearly as rewarding. You have a critical part to play in the success of such events just by being there. Whether you understand every word is irrelevant to the goal of bearing witness to the participants' passion and talent. When I asked my Spanish and my Mexican friends what their favorite poem was, incredibly, given the number of choices they had from throughout Spain and Latin America, they cited the same poem. It’s by Spaniard Antonio Machado and seven stanzas. Various singers have composed songs for it. This is best excerpt to memorize. More simple than the rest of the poem, it captures its beautiful essence. Memorize the passage and win over your target Mexican. Related Links: A guide to major cultural venues in Mexico's most popular expat cities. Opera is not dying in Mexico, as these young opera singers demonstrate. Yes, it's a little bit of effort, but ultimately, making new friends laugh is a labor of love. Most recent: Every time I return to Mexico, I find myself occasionally exhausted for no reason other than this. 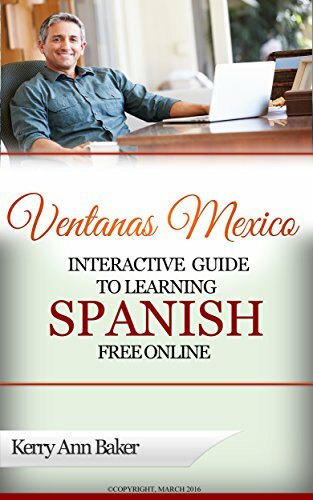 Kerry Baker is the author of "The Interactive Guide to Learning Spanish Free Online" an interactive curation of the best language tools on the web for learning Spanish. They are the "free tools within the websites," organized by level and in lesson plans you can use to create a fresh lesson every day. Boredom is what kills motivation. By creating your own lessons using dozens of different tools, you will stick with it longer. 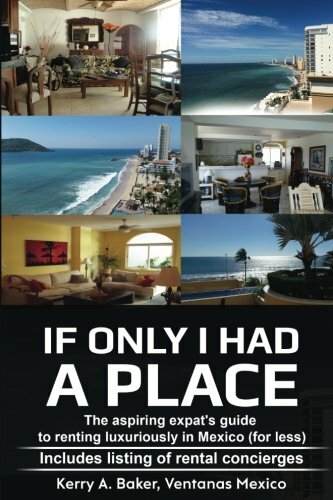 "If Only I Had a Place," is about how to rent in Mexico holistically, and establish the social network you need to find the best places for less year after year. The book also includes a listing of rental concierges in the most popular expat destinations. These concierges have an online presence and can be trusted to provide you an objective opinion of whether the place you're considering meets your requirements. This is crucial in Mexico.